In the 20th century, C.W. Dixey & Son appealed to a new breed of customer. Constantly in the public eye, these customers were quite often arbiters of taste and style. Celebrated clients include the writers Tennessee Williams and James Bond creator, Ian Fleming; actors Boris Karloff, John Gielgud and Peter Sellers; and the artists Walter Sickert, Augustus John, and Jacob Epstein. Discretion prevents the disclosure of living clients. 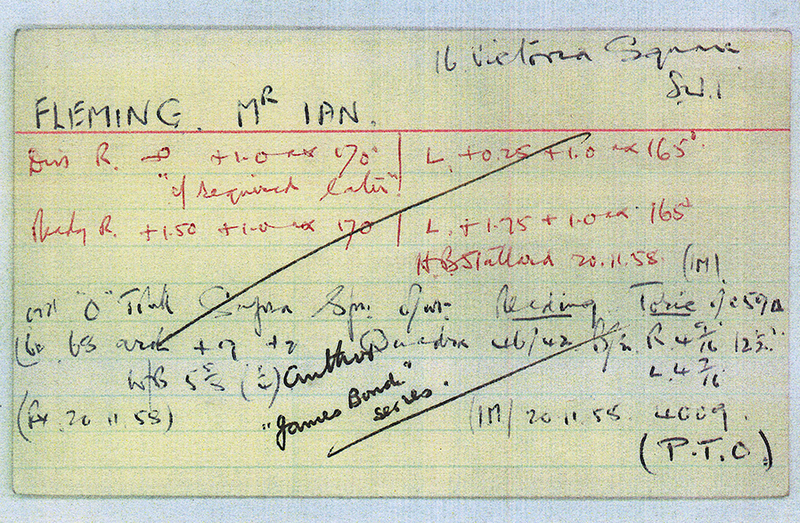 IMAGE: Sight card of Mr Ian Fleming.